Okay, it’s time to wrap up the poll on our Player of the League for 2019. A great League campaign it proved to be for the county, one in which several players stood tall for us. None more so than Aidan O’Shea. His switch back to midfield was one of the undoubted successes of this spring campaign, where he forged an extremely strong partnership with his Breaffy clubmate Matthew Ruane. That positional shift occurred down in Tralee and it’s no coincidence that, from then on, the team had a far better balance and drive to it. The more defensive role Aidan took on suited his talents far better and it also gave Mattie the opportunity to rampage forward, which he did repeatedly to good effect. It was no surprise, then, that it was this midfield pairing who dominated the voting in our Player of the League poll. Indeed, between them they hoovered up 86% of all votes cast. Aidan comes out on top in the poll, garnering 55% support and so he’s our Player of the League for 2019. Hearty congrats to him on this richly deserved award. Here’s how the voting went in the poll. Support the lads who landed the League title! Play the Mayo GAA Lotto and be in with a chance to win the €12,900 jackpot prize in tonight’s game – details here. Well done Aidan, a real workhorse and the heartbeat of the team, hopefully, a big season awaits him. But for me, the find of the League was Matthew Ruane, what a player he has turned out to be and he’s only getting started. He and the other young guns have given us supporters a real lift, just as we were beginning to lose faith. Fingers crossed now for a good run in the Championship. Couldn’t agree more with this result. Aidan has really stepped up over the last few months, particularly with leading lights like Cillian and Leeroy missing key games through injury. I was listening to the MayoNews podcast this morning (again) on the way to work and it was brilliant to hear the stadium erupt when Aidan lifted the cup last Sunday. Hopefully we’ll get to repeat this before the year is out. Hi Willie is there another podcast coming out? I think Finno mentioned it during last week’s one. 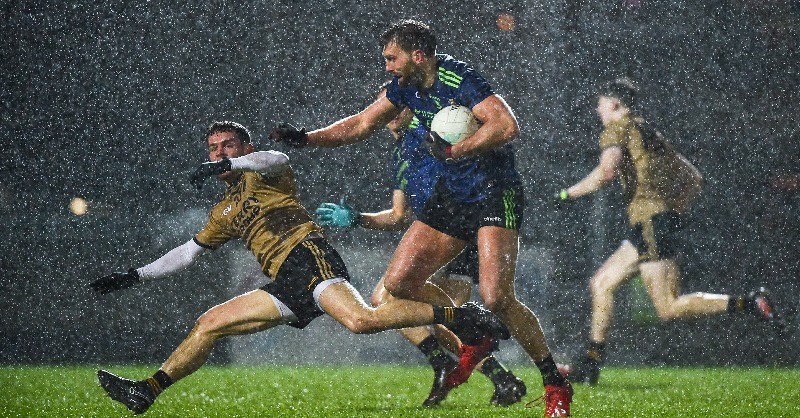 THE Connacht GAA Council has confirmed ticket arrangements for the Connacht SFC preliminary round clash between New York and Mayo at Gaelic Park on Sunday, May 5. An unprecedented number of Mayo supporters are reported to be making the trip for the match. Mayo Focus – we’re aiming for tomorrow evening for it. Rob and I recorded some of it here in Dublin yesterday and Rob has a bit more to get, including some with Billy Joe. It’s on the way! That was supposed to be a thumbs up, apologies. Willie Joe, my name was usurped, by a fellow poster, on April 5th 2019 at 8.42 – no doubt an honest mistake but please rectify if possible. Re NY. Gates open at 8:30 am, no readmittance. See you bright and early! Was also only thinking of the 2nd podcast today. Looking forward to it. Thank you for providing them. Really love them. Mayo Exile – I’ve already dealt with that issue (see my comment in response to you when you raised this on Saturday) where I confirmed that you were correct and asked the other poster not to use this handle in future. Aidan O’Shea a deserved winner but it also proves that with the right manager in place a player’s form can be transformed. James Horan deserves credit for finding Aidan’s best position and dare I say it, I haven’t seen him as lean and mean for a long time. I don’t normally endorse such things but Joe Brolly’s article in yesterday’s Sunday Independent on the Mid-West Radio coverage of the league final is good fun to read and brings back nice memories (allbeit only one week later!). Eamonn Sweeney (the lions versus donkeys fella) praises Mayo to a height calling us the neutrals favourites even if he makes dubious comparisons with Liverpool’s tussle with Man City. O’Shea – Ruane complimenting each other nicely. Very strong midfield paring and a bonus they are from the same club. No arguments about man of the league. What an ideal midfield pairing, one helping out in defence and the other bombing forward also scoring goals, with a good understanding from playing at their club. The best midfield of any County in 2019. All – just for info, the next edition of the podcast won’t appear now until tomorrow, round lunchtime or so. It’ll be worth waiting for though! The O’Shea/Ruane partnership reminds of the McHale/Brady pairing in 1996, not that the players are similar but that they compliment each other so well just like Liam and DB did back then. I think they will give any team their fill of it in the middle come the championship and if we reach the final I would wager Aidan will be in line for player of the year just like Liam Mac was back in 1996! Here is just hoping for a different result this time!! Sorry Willie Joe, I completely missed your 1st intervention – many thanks. 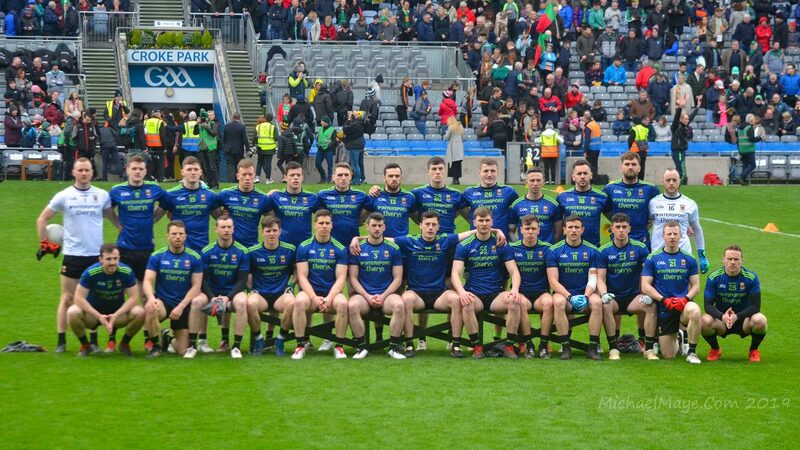 Quick question for those in the know, assuming we beat New York, looking at the fixtures list it says the semi final will be on Saturday 25th of may in either castlebar or carrick. Will the game only be in Carrick if leitrim beat roscommon, and it will be in castlebar if roscommon win? Also has anyone heard what the story is with season ticket holders for the game in New York? Are they guaranteed entry to the game? Mayo1990 – that’s it alright in relation to the possible semi-final venues. Assuming it’s us and if Leitrim beat Roscommon then they get to play us at home (as we last played them in Connacht at MacHale Park, in the 2012 semi-final) whereas we last played the Rossies in Connacht at Hyde Park (in the 2014 semi-final) so it’s our turn to host if it’s them (and us). On the New York game, this isn’t a match covered by the season ticket, which won’t get you into the game nor will guarantee you a ticket for it. Thanks for the clarification Willie Joe, I guess it’s goin to be a very early start on the mornin of the New York game for all of us so. Jesus Creteboom, easy on there. Mighty Aido – hope no injuries for him or any lads. Hope Cillian will be back soon. Must have been tough on him not to play any league or in final. Well done to all the mayo fans on Twitter for calling out Maire nicheallaigh (newstalk) on her ‘comments’ re celebrations in croke park. We have to keep that up for summer ahead. Aidan was doing a serious job in midfield in 2013 – and then Dublin ran the legs off him in the final, and no Mayo manager has seriously trusted him there since. Maybe I’m being naive here, but the next time we meet Dublin, if Aidan is picked in midfield, won’t they just do the same thing again? Thats a very valid point Davy J. Something we need to plan for. The thing we need to do in that event is make a change. In the 2013 final the Dubs ran Aidan from one side of the pitch to the other only when Cluxton was taking their kickouts, this is where Mayo need to be clever, try and bring out one of the full forward line to man mark Dublin best midfielder, Mayo have plenty of options for their own kickouts. Are the Dubs still as strong around the middle, I don’t believe so. 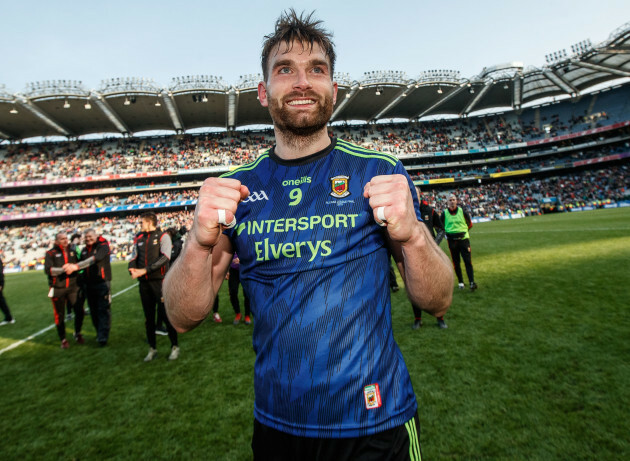 The Dubs had a plan to run Aidan in 2013 and it worked very well for them. He’s a little bit wiser on the track now and doesn’t try make it to every corner of the pitch, in doing so exhausting himself. I think we can say Aidan O Shea is a better player now than in 2013. In his prime. Should the same situation arise this year, perhaps Aidan will let Mattie Ruane do the sideline-to-sideline running!